Pilot Cutters are used to take Pilots between the three Pilot Stations (at Gravesend, Harwich and Ramsgate) and ships entering or leaving the Port. 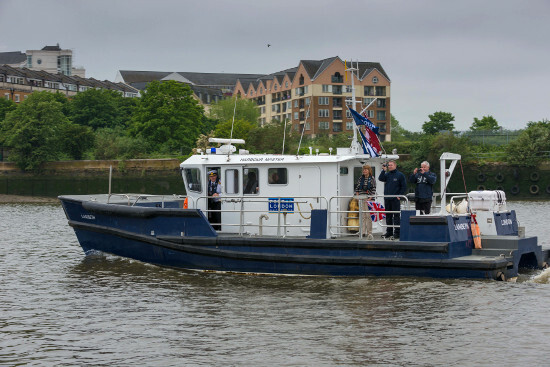 A dedicated Pilot Cutter called 'Patrol' is used at Gravesend, but the six cutters used at Ramsgate are operated by a separate company called Estuary Services Limited (ESL). This company is jointly owned by the PLA and Medway Ports Ltd.
PLA Pilots based at Harwich use cutters operated by Harwich Haven Authority by arrangement. This vessel was purchased by the PLA, from Estuary Services Limited, in 1994. Patrol was built in 1982, by Halmatic, on a RNLI Arun-type hull and was given a major refit in 1998. With an overall length of 16.4m and a draught of 2m, she is powered by twin Scania DSI 16 engines giving over 1100 bhp and a maximum speed of 20 knots. These four purpose-built harbour patrol vessels are also used for pilot transfers in Gravesend Reach. The launches were built by Alnmaritec, based in Alnwick, Northumberland, with a deep vee hull form, designed by Newcastle University. The hull structure was designed by Amgram Limited.